On Monday, Nov. 7 at 4 p.m., University of New Brunswick’s Muriel McQueen Fergusson Centre for Family Violence Research and the Anglophone West School District will host the launch of Growing Up in Armyville: Canada’s Military Families during the Afghanistan Mission at the Muriel McQueen Fergusson Centre on UNB’s Fredericton campus. Co-authored by Deborah Harrison, a retired and adjunct professor of sociology at UNB, and Patrizia Albanese, professor of sociology at Ryerson University, this pioneering book considers the past, present, and potential role of schools in supporting children who have been affected by military deployments. It also assesses the broader human costs to military families. 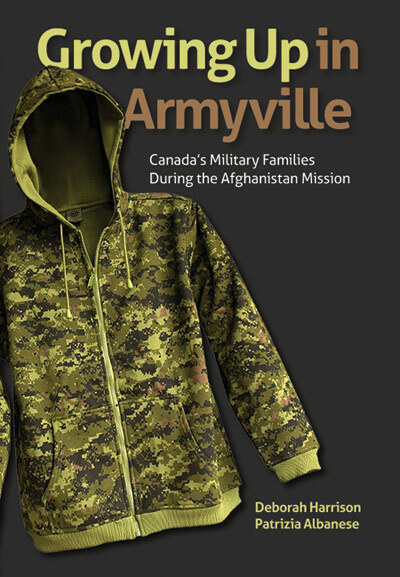 In 2006, 800 soldiers from a Canadian Armed Forces base dubbed “Armyville” in the book, were deployed to Kandahar. The school district, as indeed many Canadians, lacked the understanding required for an optimum organizational response. Based on questions from the National Longitudinal Survey of Children and Youth, administered to all youth attending “Armyville” High School in 2008 and on in-depth interviews with 61 youth, Growing Up in Armyville provides a close-up look at the adolescents who attended “Armyville” High School between 2006 and 2010. The book, published by Wilfrid Laurier University Press, provides an in-depth look at how the youth’s mental health compared with that of their peers elsewhere in Canada, how their lives at home and at school were affected by the Afghanistan mission, how they coped with the stresses they were experiencing; and what their efforts cost them.